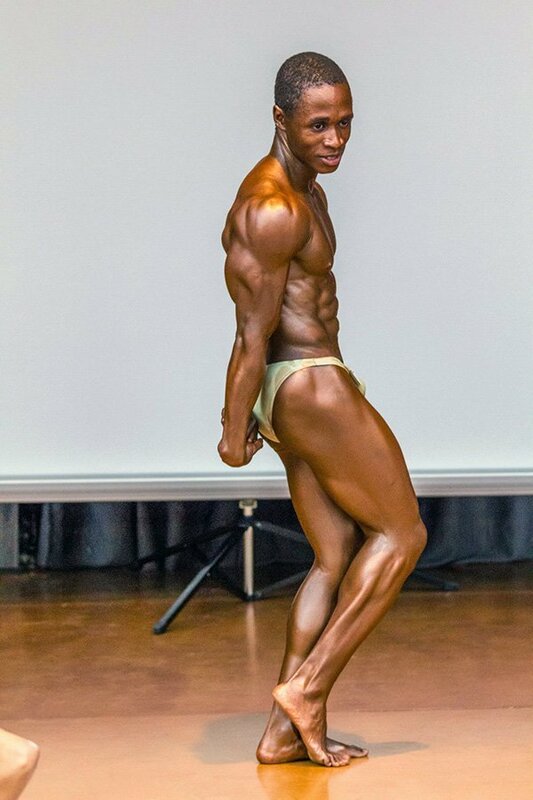 Amateur Bodybuilder Of The Week: Making Shredded Look Smooth! 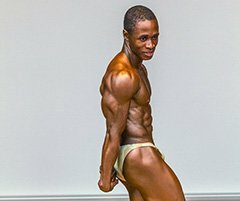 The multi-talented Tawanda doesn't want to be glorified for his physique, but he would like to get the recognition he deserves! I started working out seriously around Easter of 2012 with my training partner. Before that, I was always small (139 pounds) with little muscle mass and body fat in the double digits. As the months went by, I started to see my body transform and I responded well to training. I'm a driven and motivated person with a hunger to achieve goals. 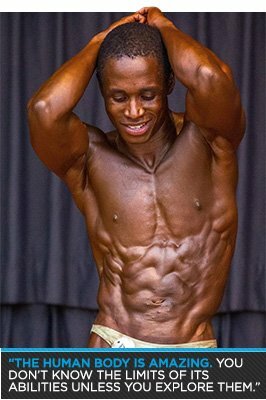 When I started to get bored training day to day, I decided to enter my first bodybuilding contest, which was held in May. The training was tough and the diet even tougher. As the months went by, it seemed to get progressively more challenging the closer I got to the competition. Competing was an incredible experience. Even though I didn't place, I felt a massive sense of achievement after seeing it through. I tried a variety of workouts this offseason, but in the last two months leading up to the competition I used this program. In the final few weeks leading up to the competition, I increased my cardio to daily 30-minute sessions. 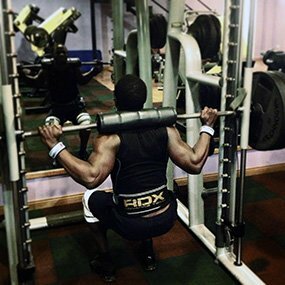 My passion for bodybuilding spawned from going to the gym regularly and trying to stay busy. It was more of a hobby; something to do in my spare time. But the bug bit and it became a big part of my life. When I decided to compete for the first time, it gave me new energy and focus. The human body is amazing. You don't know the limits of its abilities unless you explore them. I'm motivated to lift because it's more than just going to the gym and lifting weights; it's about discipline, sacrifice, and determination inside and outside the gym. It benefits my health and creates a healthy mind. Compliments and admiration from your peers is great motivation. On a social level, it keeps me busy outside my career as an airline pilot. I met friends through bodybuilding that I will have for life. The gym! My trainer was the Spanish champ three straight years. The staff and other clients in the gym constantly encouraged me to keep going. The wealth of videos online and websites that post motivational pictures helped me get going on days I didn't feel up to the challenge. I'm going to enter the Canarias Championship again next year now that I know what to expect. That gives me a year to pack on as much mass as possible and attempt to carve out a good physique. I have a few photo shoots coming up that will encourage me to stay in peak shape. People come to me for pointers and tips, so maybe I'll look into personal training on the side. The possibilities are endless. I'm in the process of talking to a few companies to negotiate an endorsement deal. Lift heavy, eat clean and often, and most importantly, enjoy the journey. Layne Norton has done incredible things as a natural bodybuilder and shared a wealth of knowledge, which I studied and applied. It held me in good stead. I learned about Layne through Bodybuilding.com. Aside from that, there's a wealth of information on the site. Tools like BodySpace are great to keep track of progress. Being in the public eye adds a level of accountability if I set a goal. I have to be honest when I update my page to show if I achieved it or not.